My friend, and moderator of this blog, asked me to contribute some thoughts on homeschooling to this blog. I thought this would be fun, and hope to be a regular contributor. 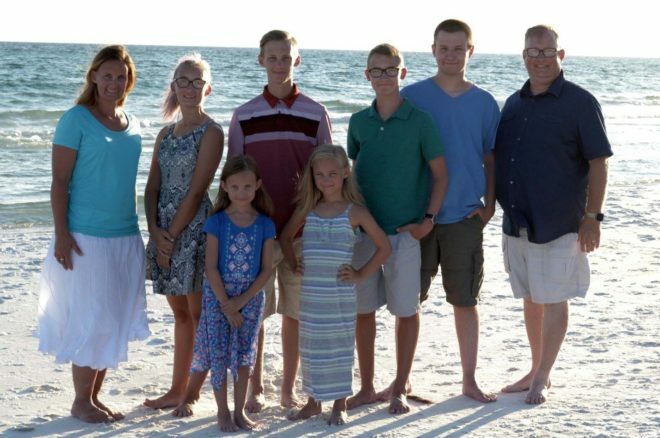 Therefore, I thought this first post should be a bit of an introduction to our family and experience as homeschoolers so we can get to know each other a little bit. My name is James, and I have one wife, six children, two dogs, and two cats. I have a few hobbies, most of which revolve around being outside either walking/playing with our dogs, playing with the kids who are young enough to still want to play with me, or just generally hanging out. We love to cook, and we love to eat. Our family also loves the water…so much so that we are hoping to relocate some day to a much warmer climate. As for work and careers go, my career path has woven in and out of the insurance industry and healthcare, and my wife is a middle school math teacher for a public chartered virtual school. We’ll talk more about that in a later post. The question about the number of children in our family usually leads to other questions, and homeschooling usually isn’t too far down the list. I’m sure we get the same questions you do….Why do you homeschool? When did you start? When will it end? Are you a scientist/how will you teach chemistry? What about sports? What about what about??????? What is YOUR biggest question for yourself about homeschooling? What fears, doubts, or insecurities cause you to struggle? My single, underlying fear was AND IS….what if my kids grow up, and look at me someday, and ask….WHY DID YOU DO THIS TO ME????? What if my kids get to college unprepared, because we “forgot about” something SUPER important? So, a little spoiler alert here…if you paid attention to the ages of my kids, you know two of them are old enough to be college students. So far…they are doing great. Both earned academic scholarships to the University of Indianapolis, a private liberal arts college in Indianapolis. Our oldest is in the middle of his junior year majoring in business, and boy #2 is halfway through his freshman year majoring in classical guitar. That points to a future post…how different our kids can be, and why homeschooling is AWESOME for that reason.